Much has been written on the subject, but this is a serious matter so I will also contribute to the knowledge base: Clowns are terrifying. 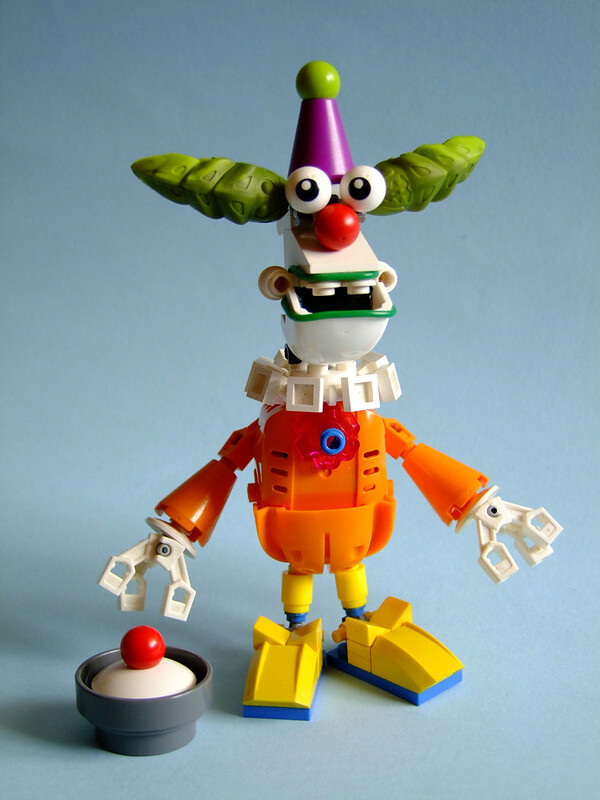 Even this clown, expertly built from a beloved children's toy and carefully photographed, is terrifying. I'm sure builder Djokson meant no harm and his intentions were completely benevolent, but still, this thing is terrifying.